You might think that appearances shouldn’t matter in the workplace and that everyone should go by the saying “don’t judge a book by its cover”. But, first impressions definitely make a huge impact on an employer. According to Business Insider, the first impression is only a seven second window upon first meeting someone. When you think about it, all the interviewer has to go by is how you look when you walk through the door and then how you act and answer during a 20 – 30 minute conversation. This short time is not enough for an employer to get to know you, and so it’s important that you show them what kind of person you are through the way that you’re dressed. According to the employment website Monster, you should aim to dress one notch above what you would be wearing if you got the job. To do this, you could hang around the entrance of the workplace to see what kind of things the current employees are wearing. Furthermore, you could even ring the employer to ask what the dress code is. The important thing to remember is if you dress smartly in something that you like and which is comfortable, you will feel comfortable and confident; two key things that will guarantee a great interview. Fashion comes and goes, but one outfit that will never not be on trend is the suit. If you’re applying for a public job in which you will be seen by other people, such as in a school, a hospital or a bank, professional and tailored work-wear is essential. Men should wear smart trousers, a collared shirt, a tie and a pair of well polished shoes. A friend of mine who works in a hospital told me that a doctor she knew used to carry a briefcase with shoe polish in it at all times, so if he ever got called into his boss’ office, he would give his shoes a wipe just before. Shiny, polished shoes demonstrates that you have made an effort and that you take pride in yourself, and therefore will be likely to take pride in your job. When deciding what to wear, women can opt for a smart skirt with a blouse or a jacket, or a tailored dress with a jacket. Tights are recommended to look more conservative and professional, paired with a mid or low heeled shoe, or flats. Simple, plain colours are recommended rather than flower prints and colourful patterns, and it doesn’t matter if your outfit is from Primark or Reiss, as long as it is clean and properly ironed. Valerie Lloyd, Head of Community Services of a regional Health Board, highlighted the importance of implying a hygienic lifestyle. She says that hair should not be greasy or an unnatural colour, and make-up should also be natural. If you’re applying for a job in which jewellery, fake nails and nail polish are not permitted, don’t wear them to your interview either. Tattoos and piercings should be covered, and you should not smell of cigarettes or the night before’s alcohol. Valerie adds that personal hygiene is very important to her when recruiting staff, as once she was interviewing a woman who hadn’t shaved and so all she could think about was her hairy legs, even when what she was saying was promising. The essential thing to remember is that what you wear is as important as your body language or your answers in an interview, even if we don’t like to admit that people judge others’ appearances. However, as we all know, you only have one chance to make a first impression. Make it count. 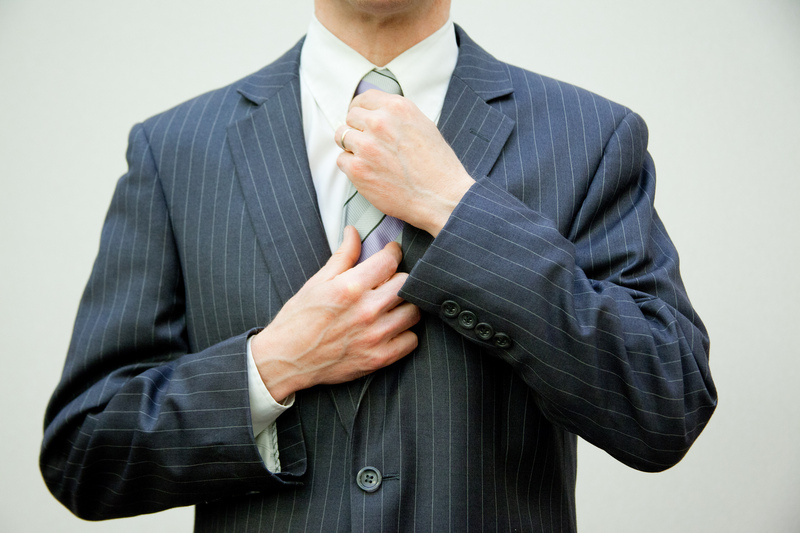 What do you think makes the perfect interview outfit? Tell us below. in journalism and wish to be a journalist in the future.